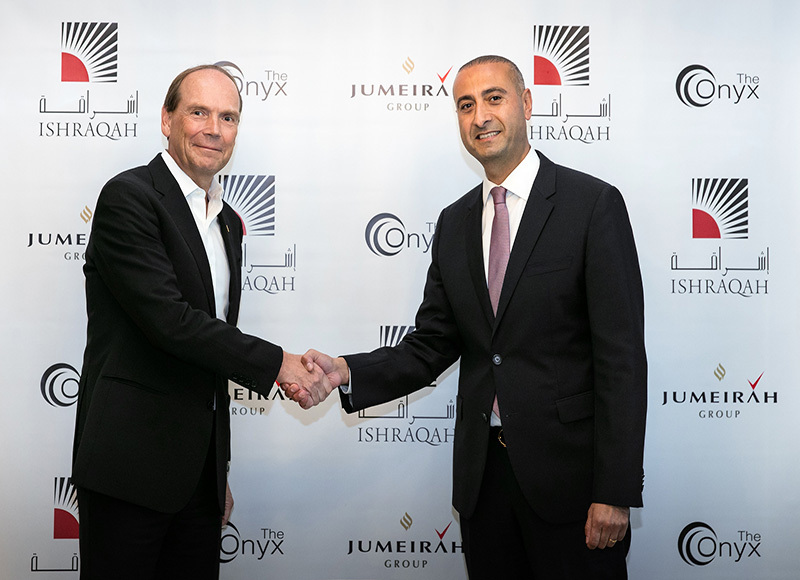 Dubai, UAE, 24 January 2017: Jumeirah Group, the global luxury hotel company and a member of Dubai Holding, today announced it is to operate a new hotel in Dubai under its Zabeel House by JumeirahTM brand, having recently signed a management agreement with The Onyx for Development, a subsidiary of Ishraqah for Development Ltd. The hotel, to be known as Zabeel House by JumeirahTM – The Greens, is scheduled to open in quarter four 2018 and will offer 210 guest rooms, two restaurants, terrace dining around the pool area, conference and business facilities, as well as a gym and spa treatment rooms. Designed to appeal to the curious traveller with an intrepid spirit, who wants to experience a city like a resident or uncover a different version of the city that they already know, guests to Zabeel House by JumeirahTM – The Greens can expect a four star experience, brilliant basics and unexpected extras within an upscale, casual environment. Conveniently located to help guests experience Dubai, Zabeel House by JumeirahTM – The Greens is well positioned at the heart of The Greens master development, and is part of a completed wider mixed-use development called "The Onyx", which consists of residential, commercial and retail units. The hotel has great connectivity with easy access to Sheikh Zayed Road, the main arterial road for the City, and is within easy reach of some of Dubai’s best beaches, as well as public transport and the Dubai Metro. Anticipated to be a social hub for the locality, the hotel is also near Dubai Media City, Internet City, and the growing commercial district of Barsha Heights, which are the base for a number of Media, IT and Technology companies. Created in Dubai, inspired by the vibrancy of the city and with a focus on great locations at the heart of interesting and exciting neighbourhoods, Jumeirah Group is creating an eclectic collection of hotels under the Zabeel House by JumeirahTM brand. High on design but low on complexity, Zabeel House by JumeirahTM is a great place to immerse into the local neighbourhood or use as a base to discover more. Each Zabeel House by JumeirahTM hotel will offer an aspect of bespoke design, unique features and architectural details to fit the individual location. This versatility is an important element of the brand vision and design concept, and reflects the Zabeel House guest; a strong individual with unique tastes and travel passions, whether it is adventure, socializing or seeking somewhere fabulous to retreat to. Jumeirah Group has five signed hotel management agreements in place for Zabeel House by JumeirahTM and will be making a series of announcements in early 2018. Jumeirah currently operates 19 Jumeirah hotels already in operation in Europe, the Middle East and Asia under its Stay DifferentTM luxury hotel brand. Ishraqah For Development, the developer and owner of The Onyx for Development, a subsidiary of Ishraqah For Development, was formed as a joint venture between two prominent Saudi business groups, Al Zahran Group and Bin Mahfouz Group, in 2006 to pursue opportunities in the regional and international property markets. Ishraqah for Development, its subsidiaries and sister companies currently manage a portfolio of real estate investments and developments of over AED 5 billion covering the UAE and KSA as well as other international markets with offices in Dubai, Riyadh and Jeddah.